It is rather tragic how the journalist fraternity, or rather, the five-star journalist fraternity mostly riddled with selectivity have either kept quiet about the threats received by Mr. Rohit Sardana or have laced their condemnation with ifs and buts. We have often spoken about the omertà in the Media. Where journalists don’t necessarily go hammer and tongs after their own for their follies. But the recent silence makes us wonder, what omertà are they possibly honouring now? We wonder where the outrage went. What happened to all those introspective lessons learnt about Press freedom. We wonder what happened to all those Press Club meetings that condemned how the freedom of press was being thwarted. We wonder under which rock have the loudest proponents of free speech receded. We wonder why journalist Rohit Sardana doesn’t deserve the collective outrage, as some of the other journalists. We wonder if there are no awards remaining to be returned. No tears left to be shed. No outrage left to be poured. No words left to be said. No incredulous shrieks. No demands for justice. No protests for his rights. 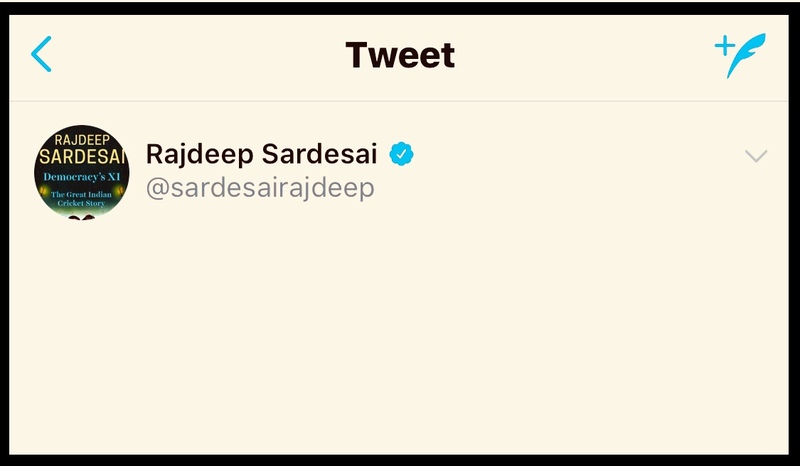 We wonder if it is Rohit Sardana’s lack of political hate that forces the five-star journalists to practice stoic silence. Is it because he doesn’t necessarily toe the line of left leaning journalists? Is it because he isn’t ‘one of them’ since the intensity with which he is expected to espouse the left’s cause, doesn’t come naturally to him, as it would seem from his reportage? Yes. Barkha Dutt learnt to never to take threats lightly. For herself and for other journalists. 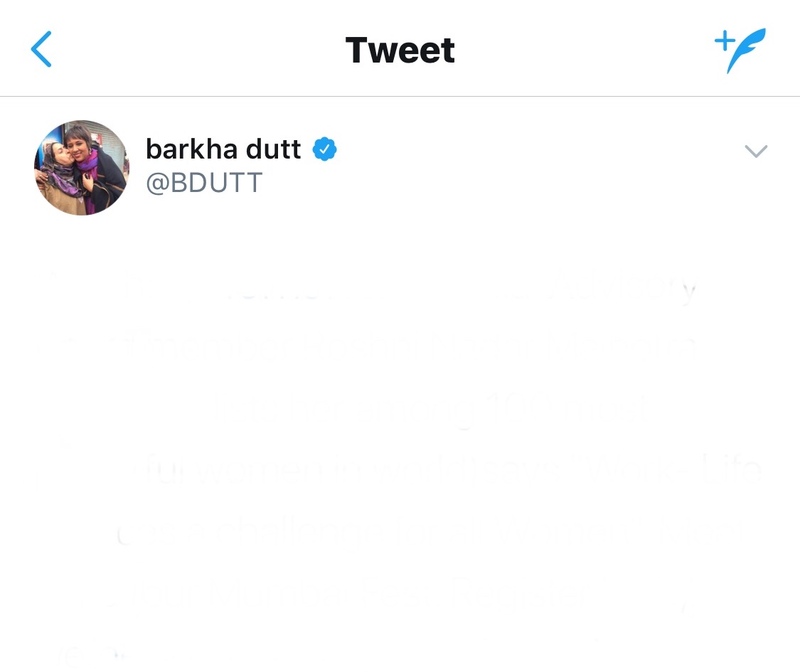 Since we couldn’t find any statement from Barkha, we leave this space empty for her. A slate for her words of condemnation. 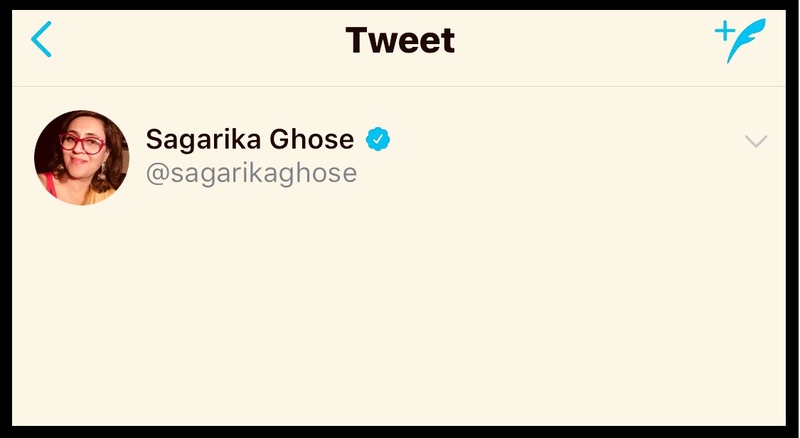 Ms. Sagarika Ghose is an idealist. A crusader of Freedom of Expression and a flag bearer of Press freedom. She worried about Press Freedom in India. Because Freedom=credibility=value. We urge Ghose to find her credibility. We leave this space empty for her. 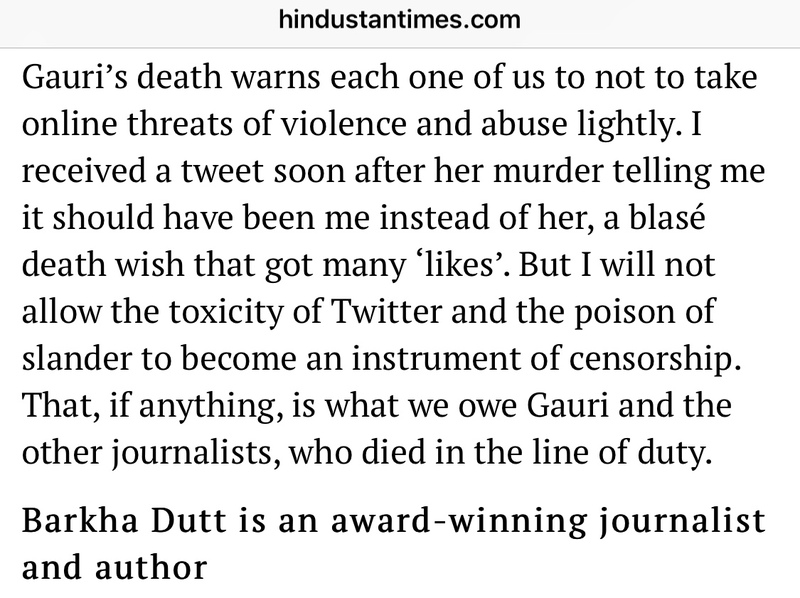 A slate for her words of value, condemning threats to Rohit Sardana. 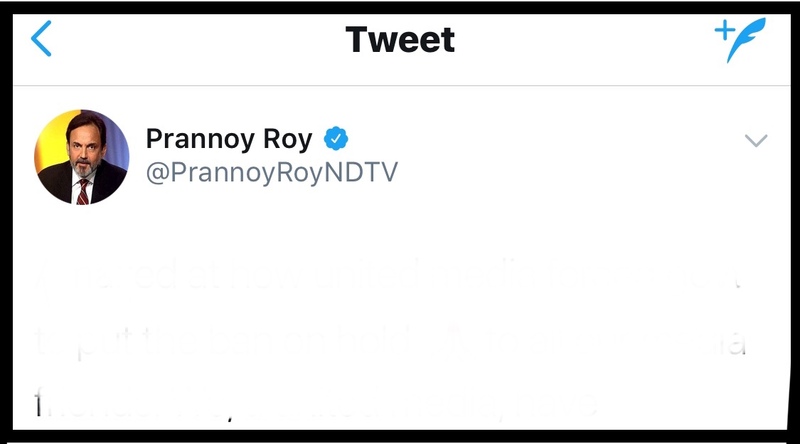 Mr. Prannoy Roy was a flag bearer of Press Freedom when the government decided to ban NDTV for 24 hours. He urged the media to come together and rally against the fascist state penalizing a media channel. And the media did. Today, when a member of the very same fraternity is fighting for his right to speak, for his right to live, Mr. Roy seems to be incommunicado. We hope he finds his voice. We leave this space empty for him. A slate for his pleas to unite. The backlash (and parallel silence) against colleague @SardanaRohit, and the threats to his family, do two things: (a) They prove his point. And (b) THEY PROVE HIS POINT. पहले ऐंकर @sardanarohit और उनके परिवार को धमकियाँ. अब चैनल के ऑफ़िस पर हमला….!!!! While some spoke up, many have chosen to stay silent about one of their own being threatened by radical Islamists for exercising his Freedom of Expression. The threats even translated to mobs attacking India Today’s Bengaluru office. The ones who scream the loudest, have donned a cloak of nonchalance, while their colleague lives in fear. As in politics, for some in the Media too, it is all about keeping up appearances. While some chose to stay completely mum, Nidhi thought, it was perhaps a good opportunity to use Rohit Sardana to make a different point, one that she felt more passionately about. One would expect Nidhi to be rather happy that a politician was condemning the threats of violence against one of her own. But it would indeed be a tragedy, if the condemnation was taken at face value without conflating it with a totally different issue. It is said that everything said before a ‘but’ is in all probability insincere. And that adage certainly seems to hold true for Ms. Nidhi Razdan. This ghastly ongoing incident where Sardana has received threats continuously, has not only exposed how unfree free speech really is, but also the chinks in the Media armour. Their now-a-crusader-now-a-spectator modus operandi is for the world to see. ‘We support you if you are useful to our narrative, if not, you are on your own’ seems to be the latest Press mantra.